Amazon suppliers received a lesson in centralization on March 7 after the e-commerce giant abruptly began canceling huge numbers of orders in a profits push. As Bloomberg reported, quoting a statement from Amazon, the company wants to increase returns at the heart of its e-commerce operations. This has involved fundamentally altering the supply line, forcing even long-time sellers to sell products directly on its marketplace instead of using Amazon as a middleman. This, reports say, results in reduced costs, as suppliers themselves foot the bill for issues such as storage and shipping. Amazon also takes a commission from each transaction. “We regularly review our selling partner relationships and may make changes when we see an opportunity to provide customers with improved selection, value and convenience,” the statement reads. The knock-on effect for suppliers, perhaps predictably, has already touched a nerve. As Bloomberg notes, given purchase orders agreed months in advance, seismic changes from Amazon can easily trigger chaos. “If you’re heavily reliant on Amazon, which a lot of these vendors are, you’re in a lot of trouble. If this goes on, it can put people out of business,” the publication quoted Dan Brownsher, CEO of a consultancy counting around 50 Amazon vendors among its clients, as saying. At press time, Amazon’s share price was down by close to three percent on the day. As Amazon has grown to achieve a practically worldwide monopoly, the perils of relying on a giant centralized partner will ring true for those businesses which have adopted an alternative ethos. Nonetheless, decentralized marketplaces have yet to achieve widespread popularity. Efforts to take on the e-commerce giants have so far seen little progress, with highly-anticipated offerings such as OpenBazaar failing to dent consumer habits. “You should be able to buy and sell using cryptocurrency… if you get crypto, you should be able to spend it… you and buy whatever you need for your daily activity,” the platform’s founder, Washington Sanchez, told cryptocurrency advocate Tatiana Moroz’s podcast the Tatiana Show in January. Sanchez is overseeing a diversification of OpenBazaar’s core offering, branching out into related software as part of parent company OB1.io. What do you think about Amazon’s change of strategy? Let us know in the comments below! Clovr, a company focused on fostering mainstream adoption of blockchain, recently carried out a survey of 1,004 Americans vi the Amazon Mechanical Turk Platform. The survey focused on people’s thoughts about crypto and investing. A number of recent surveys suggest that Bitcoin (BTC) 00 is gaining mainstream credibility, despite turbulent crypto markets in 2018. Images courtesy of Clovr, Shutterstock. Tesla, the automotive company, was the victim of a cryptojacking attack as their Amazon cloud account was compromised and used to mine cryptocurrency. Even the largest and most technologically advanced companies can be vulnerable to being hacked. Case in point is the pioneering electric car company, Tesla, owned by tech billionaire Elon Musk. They were recently the target of a cryptojacking attack that saw their Amazon cloud account compromised and used to mine cryptocurrency. A hacker, or group of hackers, hijacked an IT administrative console belonging to Tesla that had no password protection. The cybercriminals then used sophisticated scripts to begin mining for cryptocurrency. The hack was discovered by RedLock, a cybersecurity firm. Apparently, researchers for RedLock were tracking down which groups had left their Amazon Web Services credentials openly exposed on the internet. One of the groups that RedLock found was Tesla. We maintain a bug bounty program to encourage this type of research, and we addressed this vulnerability within hours of learning about it.. The impact seems to be limited to internally used engineering test cars only, and our initial investigation found no indication that customer privacy or vehicle safety or security was compromised in any way. RedLock notes that the hackers exposed an Amazon “simple storage service” (S3) bucket that held telemetry, mapping, and vehicle servicing data for Tesla. It appears that individual information was not accessed, but the CEO of RedLock, Varun Badhwar, says that they “didn’t try to dig in too much” and instead alerted the car company. Badhwar says that the hackers were pretty crafty in hiding their tracks. They made sure to lower the CPU usage demanded by the Stratum software they were using for cryptocurrency mining. This allowed the mining to be virtually undetected. The hackers also kept their internet addresses secret by hiding behind the services of a content delivery service, CloudFlare. Overall, it is unknown what cryptocurrency the hackers mined for. The current popular choice is Monero. The amount of cryptocurrency mined by the hackers is also unknown. 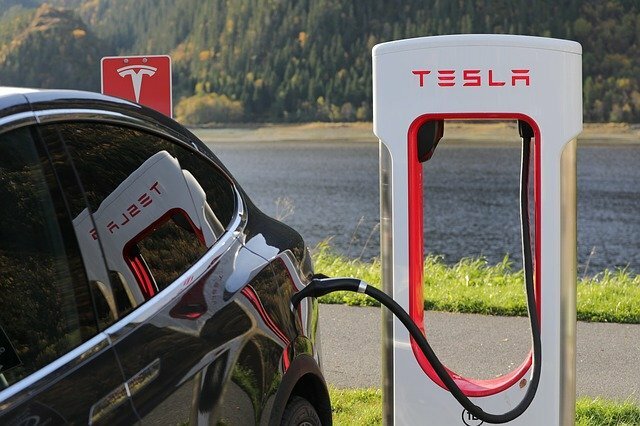 For their efforts, RedLock were given $3,133.70 by Tesla as part of the company’s bounty program to reward outside hackers who find flaws in their system. The amount is a reference to 1337, which is old hacker slang for elite. Tesla is not alone in being the victim of cryptojacking. RedLock estimates that 58% of businesses that use public cloud services have exposed “at least one cloud storage device” to the public. Of that amount, the cybersecurity firm says a full 8% have had cryptojacking incidents. Do you think companies like Tesla can do more to protect themselves from cryptojacking attacks? Let us know in the comments below. Images courtesy of Flickr/@Maurizio Pesce, Pixabay, and Flickr/@JD Lasica. It is the cryptocurrency’s volatility that makes it such a potentially highly rewarding trading investment. The price swings, while hopefully not terminal (as they became after 2010), offer the trader many opportunities to take profit and reinvest. As long as Bitcoin continues to follow the price trends set by Amazon, its traders can potentially continue to make a very lucrative trading investment with the coin. 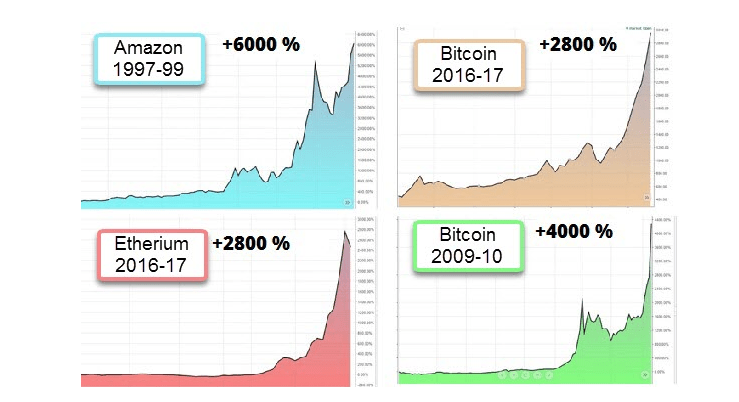 As can be seen in the charts above, the dotcom boom parallels the current state of cryptocurrency. Furthermore, as other altcoins emerge to stand up to rival and compete with Bitcoin, there exist the same issues of fluctuations in price. These same issues were present in 1997, except that some companies went on to continue rising as others crashed with the bursting of the dotcom bubble. 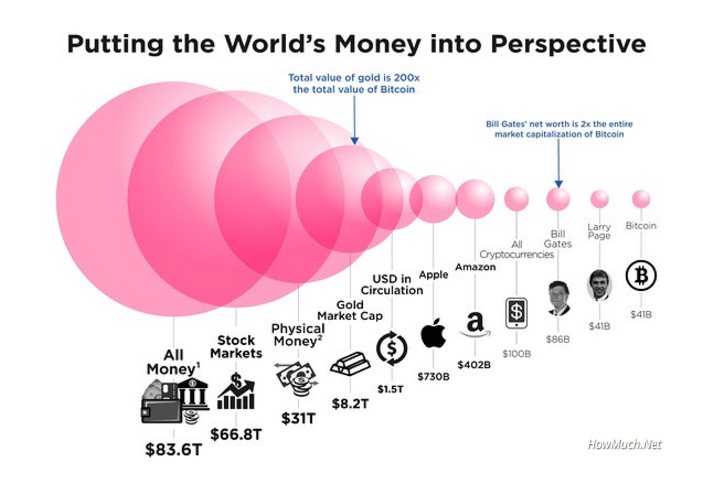 As illustrated above, Amazon currently stands at a value of $402 billion, with Bitcoin already sitting at a $41 billion market capitalization. Given this, it’s not hard to get a sense of the size of the cryptocurrency’s current projected value and there is a great deal of market confidence in the coin to have reached this stage. While many see Bitcoin as being in a bubble, and there may yet be many more volatile dips to come, it is worth remembering that companies such as Amazon suffered also from this market volatility. Volatility, while not desirable in a currency, could just be a sign of Bitcoin and its technology truly finding its feet among its fellow market giants. Will Bitcoin fulfill its promise as the most lucrative trading investment? Let us know in the comments. The Bitcoin-based marketplace that has connected the community with discounts at Amazon for using cryptocurrency has just announced the launch Purse Pre. This new Purse Pre market will allow Bitcoin users to place pre-orders on goods and trust they will receive the product or get their digital currency back. Purse Pre will use its secure escrow system to safeguard consumer funds until the product ships. The service allows customers to monitor “the production status” and users can cancel at any time before shipment to get a full refund. So far the Purse system has saved customers more than $600,000 in discounts and all purchases are secured with blockchain escrows. Purse Pre will be no different but will apply to the pre-order ecosystem with companies like Indiegogo and Kickstarter. The company is excited to bring this level of pre-ordered goods to a Bitcoin marketplace and believe they are raising the bar with this additional feature. The company claims to process $1 million USD a month in Bitcoin sales and says it’s only getting started. The firm’s mission is to “make global commerce easier and fairer through blockchain technology.” With its popularity, the startup has attracted investors such as TA Ventures, the Digital Currency Group and more with the hope it will expand the company’s mission vastly. What do you think about the Purse Pre marketplace? Let us know in the comments below. The post Pre-Order With Bitcoin Using Purse Pre appeared first on Bitcoinist.net. Bitcoin exchange UniChange is announcing a virtual bitcoin debit card giveaway. These virtual cards can be used at large online retailers Amazon and AliExpress, as well as other merchants. The giveaway started on Wednesday, April 27 2016. To participate in the giveaway, UniChange customers have to order a plastic bitcoin debit card, and they will receive a virtual card for free. For more details on this promotion, visit the exchange’s website. The exchange says that delivery of the virtual cards are instant, and advises that “customers can use their virtual card while waiting for arrival of the ordered plastic card.” If a user no longer wishes to use the virtual card after receiving his or her plastic card in the mail, they can transfer the virtual card funds to their plastic card. The virtual debit cards are available for both the euro and the United States dollar. Unichange.me strives to cover the needs of their clients, providing unique and universal solutions for fast and secure Bitcoin, Litecoin and e-currency transfers. The platform is fast building a solid reputation in the digital currency exchange space, and believes there is no need to pay unreasonably high fees for a reliable exchange service. Images courtesy of Bitcoin Isle, UniChange. The post UniChange Giveaway: Free Virtual Bitcoin Debit Card appeared first on Bitcoinist.net. Vancouver, CAN — ­ Among the various digital currency hardware wallets to emerge last year, the Washington-­based company KeepKey sticks out for its elegance, simplicity, and security. The device and software, in the form of Chrome extension, remove the nuances of securing a wallet and can be setup in minutes. The KeepKey software takes control of the management of private key generation, private key storage, and transaction signing. A 12 word recovery sentence gives you access to your money if your device is lost or stolen. To top it all off, private keys made on the KeepKey device never leave the unit, reducing the possibility of theft. Users verify each and every transaction using the large display built into each KeepKey hardware wallet. Only one button was designed to limit operation controls, making it versatile, quick and simple. The Vanbex Group, a leading Bitcoin 2.0 marketing and consulting firm, has partnered with KeepKey to build brand awareness and showcase the premium product to consumers everywhere. The post Premium Hardware Wallet KeepKey Partners with The Vanbex Group appeared first on Bitcoinist.net.